We have recently inspected a property in Reigate, a wing of a large Victorian mansion. 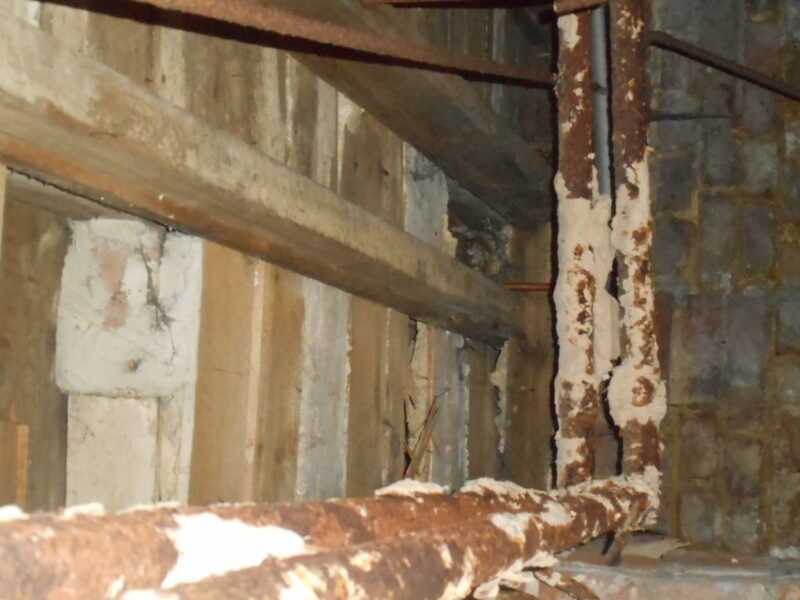 When inspecting in the cellar and shining a torch through into the underfloor void areas, we noted old heating pipes which clearly have the remains of asbestos on them. Therefore, there will be a considerable amount of decontamination work to be undertaken over and above the removal of the asbestos. Asbestos will have fallen onto the soil beneath the floor and opening up and removal of brickwork will be required. All asbestos will need to be removed in accordance with Health & Safety Legislation by a specialist company. Apart from applied asbestos to pipes, we noted damaged asbestos sheeting board which had been used as a fire resistant board above a boiler. 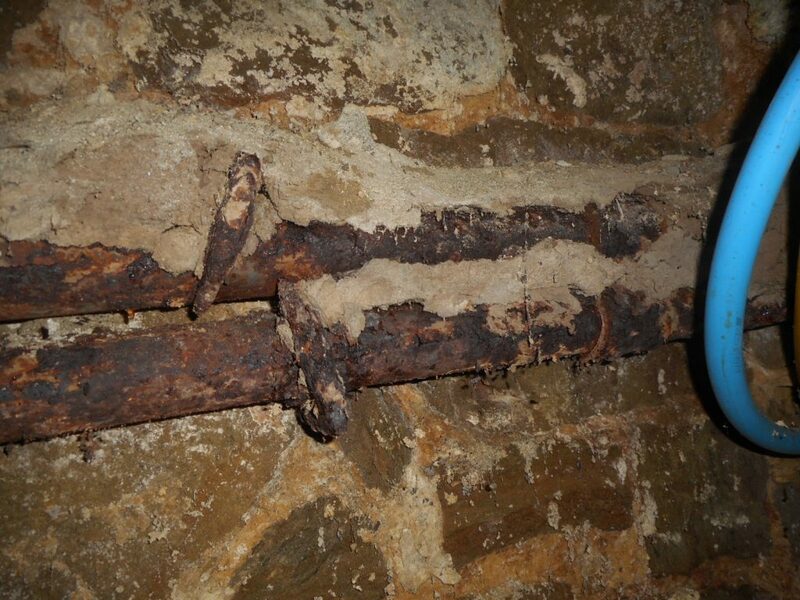 Within the cellar we noted an old tin which contained a powder to be mixed with water to allow screws to be fixed into walls – the forerunner of rawl plugs. 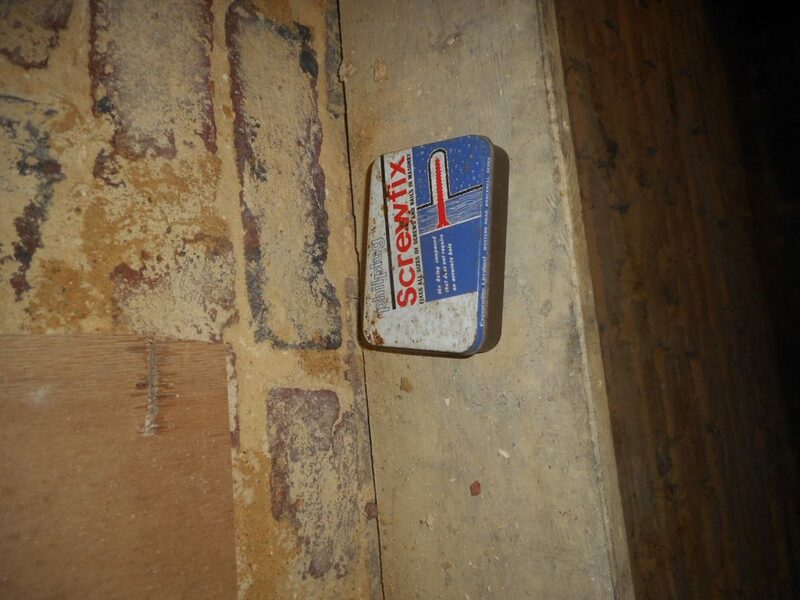 This box was not opened as we are aware that these old products contain asbestos and this tin would need to be carefully disposed of by a specialist company, or taken to a licensed tip because of the hazardous material contained within. We do still tend to find asbestos in residential buildings on a regular basis, so Surveys and inspections are strongly advised. Even if no asbestos is noted, care should always be taken on opening up as it may be in concealed areas. At Brian Gale we have over 25 years’ experience providing Full Building Surveys and Property Valuations as well as a full range of surveying services. Call us today on 01737 245947 or fill out our contact form for a free quote.